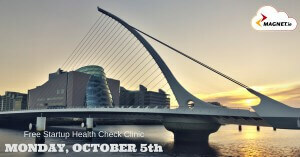 National Startup Week is taking place from October 5th-9th and Magnet are taking part by hosting Startup Health Check Clinics free of charge in Dublin, Limerick and Galway. 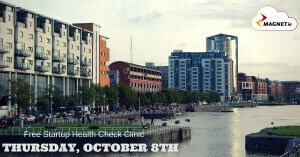 Dublin: Monday October 5th, 1-3pm, No. 43 Fitzwilliam Sq, D2. Limerick: Thursday October 8th, 1-3pm, The Savoy, Henry St Limerick. 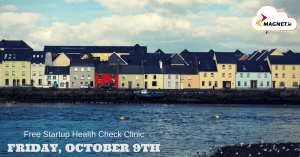 Galway: Friday October 9th, 1-3pm, Hotel Meyrick, Galway. To book a free appointment click on the links above or contact Ailish or Louise on 091 393 333 or business@magnet.ie. Startup experts Ailish O’Connor and Louise McKeown have a combined experience of over 25 years in the telecoms industry and will provide analysis of telecom spend and suggesting potential savings, highlighting benefits of cloud technology and advice on increasing flexibility, mobility and performance to your business. The Startup Gathering 2015 is on a mission to get everyone to play their part in making Ireland the ideal location for startups from which to start, scale and succeed for Ireland to become a startup hub by 2020. Facilitated by Startup Ireland events are being held all over Ireland throughout the week: Dublin, Waterford, Cork, Limerick, Galway and other regions. 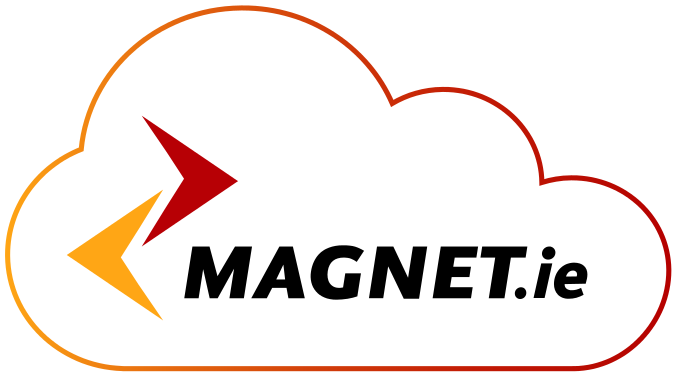 Magnet recently launched 350Mb Business Fibre in Ireland offering up to 350Mb broadband for businesses, the fastest internet speed available in the country. Superfast connectivity is vital for Ireland to be an attractive location set up and grow a business. Magnet CEO, Mark Kellet, will deliver a keynote speech at the Startup Island Forum 2020 in Galway on Friday morning (October 9th) in Hotel Meyrick. Speaking at 10:30am, Kellet will be discussing how Magnet are contributing to Galway’s journey to becoming a global startup hub by 2020 by highlighting what Magnet does in Galway, how Magnet works as enabler for startups and increased collaborative work for startups, including offering up to 350Mb broadband for businesses. Office in a Box comprises up to 100Mb business fibre, cloud hosted phone system, Wi-Fi router, unlimited calls to Irish, UK and US landlines and mobiles and unlimited landline calls to 18 other countries, and a website domain.